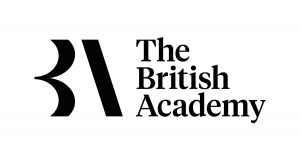 The British Academy is inviting proposals from UK-based researchers in the humanities and social sciences – active at any career stage – looking to lead interdisciplinary projects in collaboration with colleagues from the natural, engineering and/or medical sciences. The purpose of each project will be to develop new ideas and methods to bear on existing international challenges. Projects will need to demonstrate an innovative and interdisciplinary partnership (between researchers in the social sciences or the humanities on the one hand and counterparts in the natural, engineering and/or medical sciences on the other), yielding new conceptual understanding and policy-relevant evidence on questions of international significance. Collaboration between researchers in different institutions is encouraged, where appropriate, given the nature and aims of this programme, and applications may include named co-applicants and other participants from overseas. Awards of up to £50,000 and 18 months in duration are available. The awards are not offered on a full economic costing basis. Applications must be submitted online using the British Academy’s Grant Management System (GMS), Flexi-Grant®. The deadline for submissions and UK institutional approval is 15 May 2019 at 17.00 (UK time). Please contact internationalchallenges@thebritishacademy.ac.uk or call 020 7969 5220 for further information. If you are interested in applying to this call then please contact your RDS Funding Development Officer, in the first instance at least 3 weeks prior to the stated deadline. The British Academy is inviting proposals from UK-based researchers in the humanities and social sciences – active at any career stage – looking to develop and lead interdisciplinary projects on questions related to European identities under our programme on The Humanities and Social Sciences Tackling the UK’s International Challenges. We are keen to support projects undertaking research on European past, present and futures, particularly with regards to both the diversity and shared belongings of European cultures, histories, languages, and identities. Applications that engage with historical and current tropes and senses of European belonging and/or belonging in Europe from a variety of European or global perspectives, and with the work done by competing narratives of belonging, and their wider associational fields or legacies, will be particularly welcome. The British Academy is inviting proposals from UK-based researchers in the humanities and social sciences – active at any career stage – looking to develop and lead interdisciplinary projects on questions related to borders under our programme on The Humanities and Social Sciences Tackling the UK’s International Challenges. We are keen to support research projects wishing to explore varying understandings of borders, and to shape thinking about both internal dynamics within borders and cross-border issues that have global significance. Borders are defined for this purpose in as broad a sense as possible, encompassing not only traditional borders that demarcate territory but also any boundary – whether articulated or hidden, formal or informal – drawn around or between peoples and experiences. The seminar is a great chance connect with potential partners in the UK and learn about how the programme works and the application process. There is also a very useful feature on the 2 Seas website for connecting with partners in the other member states and finding out about project ideas, Cooperation Corner https://www.interreg2seas.eu/en/cooperation-corner , you will need to set up an account in order to post to the site. The https://www.interreg2seas.eu/en website holds a wealth information, the various factsheets in the Programme Manual set out the various elements that each project needs to address. Some parts of the programme can be highly technical so please get in contact if you have any questions. 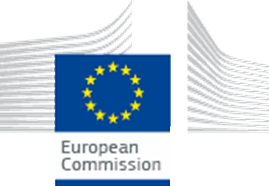 The UK Research Office (UKRO), in its capacity as UK National Contact Point for the Horizon 2020 Marie Skłodowska-Curie Actions (MSCA), is holding an information event for organisations interested in applying to the 2019 MSCA Research and Innovation Staff Exchange Action (RISE) call, which opened on 4 December 2019 and will close on 2 April 2019. The event will take place on 8 February 2019 at the Medical Research Council (MRC) Conference Centre, 1 Kemble Street, London WC2B 4AN. It will be run by the UKRO representative with contributions from successful applicants. RISE supports projects which promote international and/or inter-sectoral collaboration through staff exchanges and the sharing of knowledge and best practice. The scheme involves organisations from the academic and non-academic sectors and organisations based in Europe (EU Member States and Associated Countries) and outside of Europe (Third Countries). The event aims to provide participants with an overview of the RISE scheme. Participants should gain a clear understanding of the proposal format and the key considerations related to planning, writing and submitting proposals. The event is aimed at staff at UK academic and non-academic organisations, including industry, who are planning to submit a proposal to the RISE 2018 call. Attendance is free of charge, but registration is mandatory. Places will be allocated on a first-come, first-served basis. If you would like to attend, please visit the events page and register for the event. Please note that tea and coffee will be available at the event, but lunch will not be provided, though participants will be informed of local lunch options. The British Academy is currently inviting applications from UK-based early career scholars for the Japan Society for the Promotion of Science (JSPS) Postdoctoral Fellowships for Overseas Researchers. The Academy is an overseas nominating authority for this fellowship scheme. This scheme is for scholars in the UK who are at an early stage of their career and wish to conduct research in Japan for a period of 12-24 months. The scheme, which is wholly funded by the Japan Society for the Promotion of Science (JSPS), provides the opportunity for highly qualified young researchers based in the UK to engage and collaborate with leading research groups in universities and other research institutions in Japan. 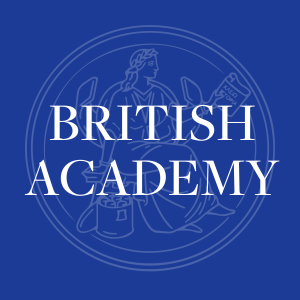 In its capacity as an overseas nominating authority for this scheme, the British Academy is able to nominate a quota of candidates each year. For applicants to be considered for nomination by the British Academy, the research undertaken must be on a subject within the social sciences or humanities. Applicants must have received their PhD within the last six years prior to their application and must be ordinarily resident in the United Kingdom. They must have a research proposal agreed with a host researcher employed at a university/research institution in Japan. The scheme is not open to Japanese nationals, those who have permanent residency in Japan, or to applicants who have previously been awarded a fellowship under the JSPS Postdoctoral Fellowship Programme for Foreign Researchers. The scheme provides subsistence funding as well as a settling-in allowance and a return air ticket. The Japanese host institution may also apply through the Japanese host researcher for a “Grant-in-Aid for Scientific Research” for cooperative research-related expenses. Application and referee/head of department statements deadline and current UK host institution approval deadline: Wednesday 12 December 2018 (17.00 UK time). Earliest start date for research: 1 April 2019. Please contact international@thebritishacademy.ac.uk for further information. If you are interested in applying to this call then please contact your RKEO Funding Development Officer, in the first instance. The ESRC and the Arts and Humanities Research Council (AHRC) are pleased to invite applications for the UK-Japan Social Sciences, Arts and Humanities Connections grants, aimed at fostering the development of long-term relationships with Japanese researchers in the field of social sciences and humanities (SSH). Discussions between UKRI and the Japan Society for the Promotion of Science (JSPS) have led to the first UKRI-JSPS bilateral call for proposals in the areas of Life Sciences and Environmental Sciences. In anticipation of a future UKRI-JSPS research call in the area of SSH, ESRC and AHRC have commissioned this preliminary call in to expand the level of engagement with Japan and to lower the barriers faced by UK SSH researchers seeking to collaborate with Japanese counterparts. The deadline for applications to be submitted through Je-S is 27 September 2018. Successful awards will be announced in November 2018 and should expect to begin as soon as possible thereafter. Please see the calls currently open, or forthcoming, being offered through the Newton Fund scheme. The Academy of Medical Sciences, in partnership with the Royal Society and the British Academy, is offering Newton Advanced Fellowships to support early to mid-career international researchers from partner countries. This award is currently available to international early career group leaders to develop their research by linking them with some of the best research groups in the UK. The purpose of each project will be to develop new ideas and methods to bear on existing international challenges and to deliver policy-relevant outputs. Projects will need to demonstrate an innovative and interdisciplinary partnership internationally (between researchers in the social sciences or the humanities on the one hand and counterparts in the natural, engineering and/or 2 medical sciences on the other), yielding new conceptual understanding and policy-relevant evidence on questions of international significance. Applications must be submitted online using the British Academy’s Grant Management System (GMS), Flexi-Grant®. For the assessment criteria please see the detailed scheme notes. Please contact internationalchallenges@britac.ac.uk or call 020 7969 5220 for further information. If you are interested in applying to this call then please contact your RKEO Funding Development Officer, in the first instance at least 3 weeks prior to the stated deadline. The purpose of each project will be to bring original interdisciplinary research ideas from the humanities and social sciences to bear on our understanding of the international challenges and opportunities which the UK has faced, is facing and will face. The projects awarded will aim to deliver specific academic, public, cultural and/or policy-relevant outputs. For this scheme originality can arise also from looking at material (such as archival material) in new ways or bringing forth new understanding from material that has previously been unknown or less well known, or innovative combinations of researchers (and/or practitioners) in an interdisciplinary manner. Awards are of 18 months in duration and are available for up to £50,000. Funding can be used to support research and/or clerical assistance; research expenses and consumables; travel and subsistence; and networking, meeting and conference costs. Awards are not funded on a full economic costs basis, with contributions to overheads an ineligible cost. The British Academy is providing mid-career to senior scholars – active in any discipline within the social sciences and the humanities and based in any country overseas – with the opportunity to work for four years in the UK and make a contribution to UK research and higher education. This new programme is supported under the UK Government’s National Productivity Investment Fund. It aims to demonstrate and further enhance the UK’s commitment to international research partnerships and collaboration as well as strengthen the UK’s research capacity and capability in the humanities and the social sciences. Up to 10 Global Professorships each year will be offered during the course of the programme (which will run for three years in the first instance). Each award will provide funding for four years to an outstanding international researcher, not currently working in the United Kingdom, to bring their research experience to the UK. The purpose of the Global Professorships is to enable world-class scholars to further their individual research goals while strengthening the UK research base and advancing the research goals and strategies of their UK host universities. Each four-year appointment is intended to be a complete project in itself and is expected to involve a specific research focus, although the British Academy does not have a preferred model for the balance of time to be spent between research and teaching (which may vary over the course of the award and will depend on the UK host institution’s needs). Suitable candidates for the Global Professorships include internationally-recognised mid-career to senior researchers active in any field within the social sciences or the humanities who are currently employed outside the UK. The applicant must either be in a permanent (full-time or part-time) position at their home institution overseas or have a fixed-term position for the duration of the Global Professorship. Applicants must be available to take up a long-term secondment or employment at an eligible UK university or research institution. Awards are expected to run for four years each. The British Academy will provide up to £250,000 per annum for the first three years, making a total contribution of £750,000 per award. The costs of the fourth year will be expected to be committed in full by the UK host institution. Successful applicants to the 2018 competition will be required to start their awards between 1 December 2018 and 31 May 2019. Please contact internationalgrants@britac.ac.uk or call 020 7969 5220 for further information. In the first instance if you are interested in applying for the above please get in touch with a member of the RKEO Funding Development team. If you are interested in applying to any of these calls then please contact your RKEO Funding Development Officer, in the first instance at least 3 weeks prior to the stated deadline. As part of the Societal Challenges pillar for the new Horizon 2020 programme, the European Commission have released a call on ‘Green Vehicles’ (H2020-GV-2014) within the Smart, Green and Integrated transport programme. Dependent on which topic is addressed a proposal may take the form of a research and innovation action or just an innovation action. The call details the action type that is relevant. For more information please contact Paul Lynch, plynch@bournemouth.ac.uk or Eva Papadopoulou, epapadopoulou@bournemouth.ac.uk.